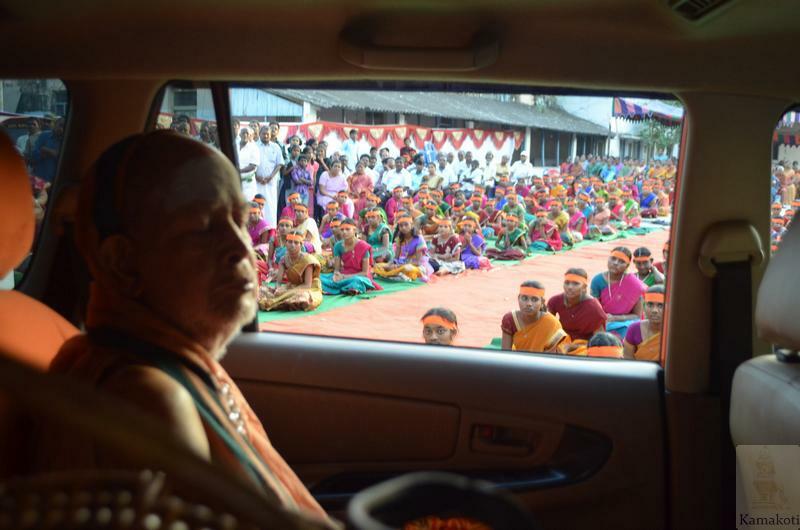 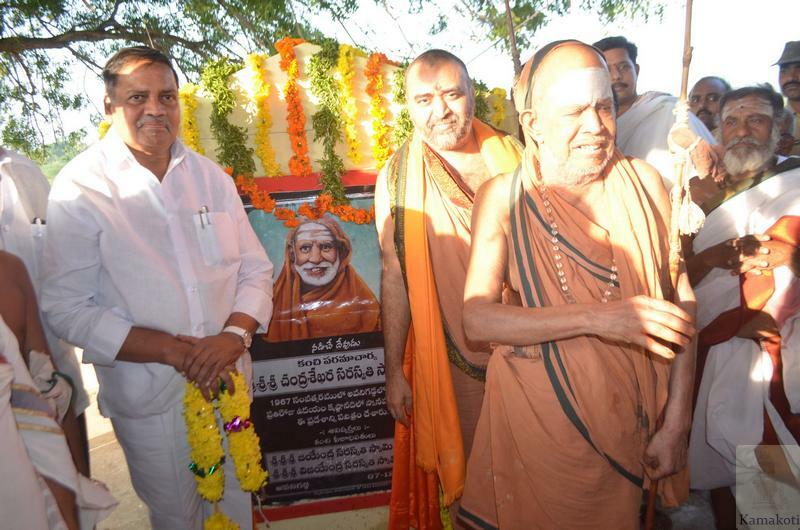 His Holiness Pujya Shri Jayendra Saraswathi Shankaracharya Swamigal & His Holiness Pujya Shri Shankara Vijayendra Saraswathi Shankaracharya Swamigal visited Avanigadda town on evening of 7th December. 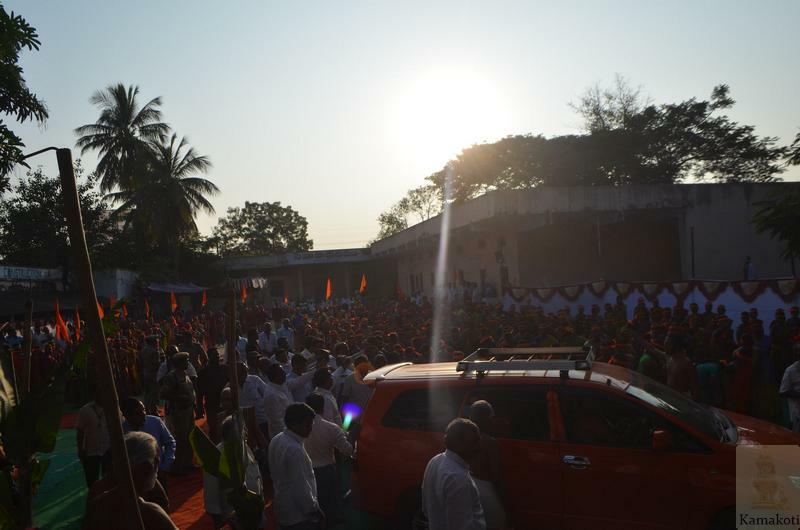 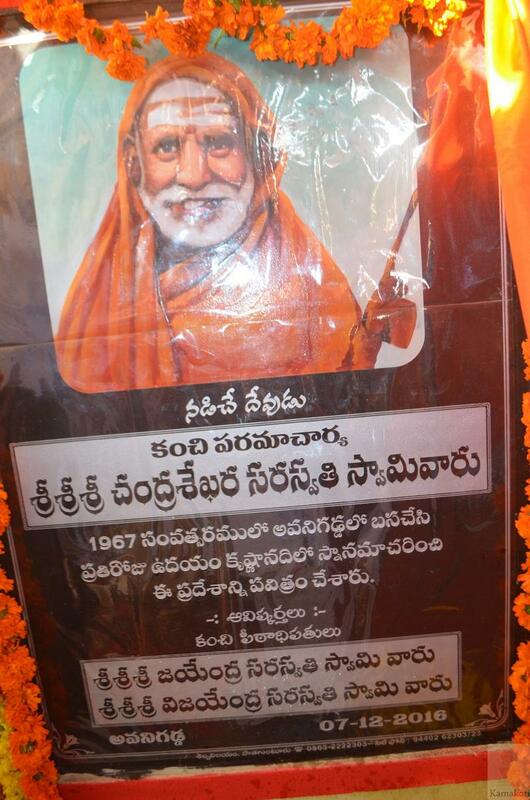 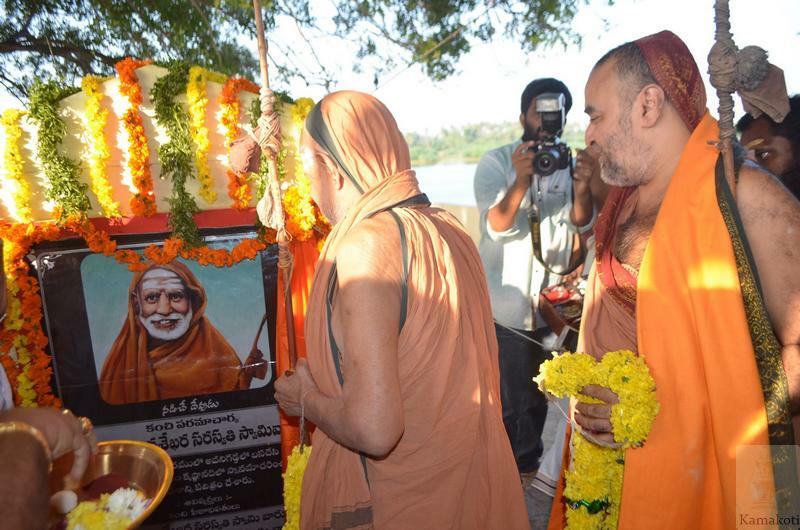 Their Holiness left Machilipatnam in the afternoon and proceeded to Avanigadda about 40kms via Chellapalli town. 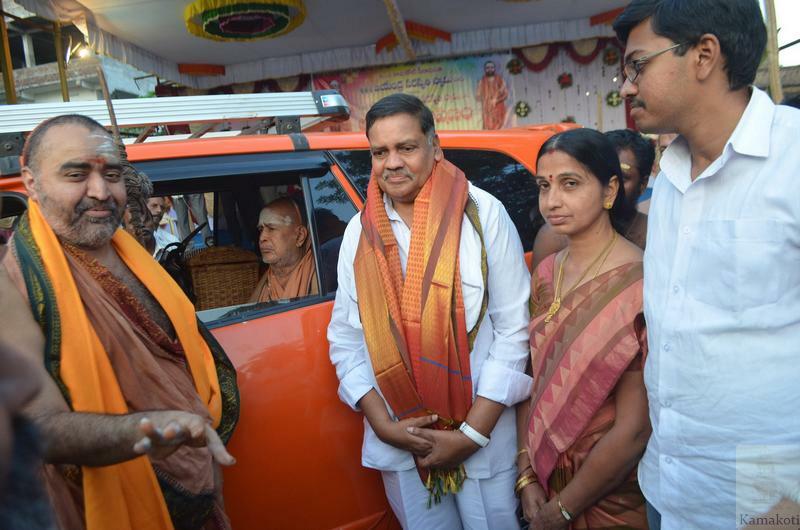 Their Holiness were received by devotees led by Shri Mandali Buddha Prasad, Deputy Speaker, Govt of Andhra Pradesh. 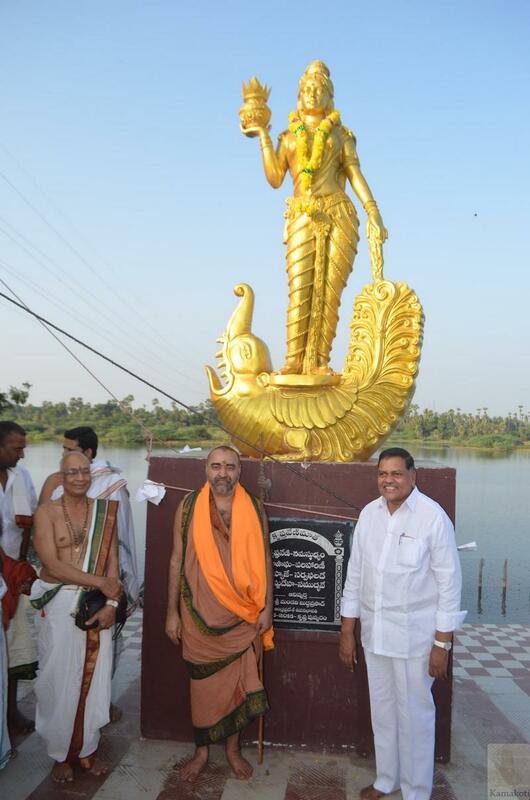 They first visited Krishna Ghat where a plaque was inaugurated in commemoration of Kanchi Paramacharya's & Pujya Shri Periyava's visit to the town in late sixties. 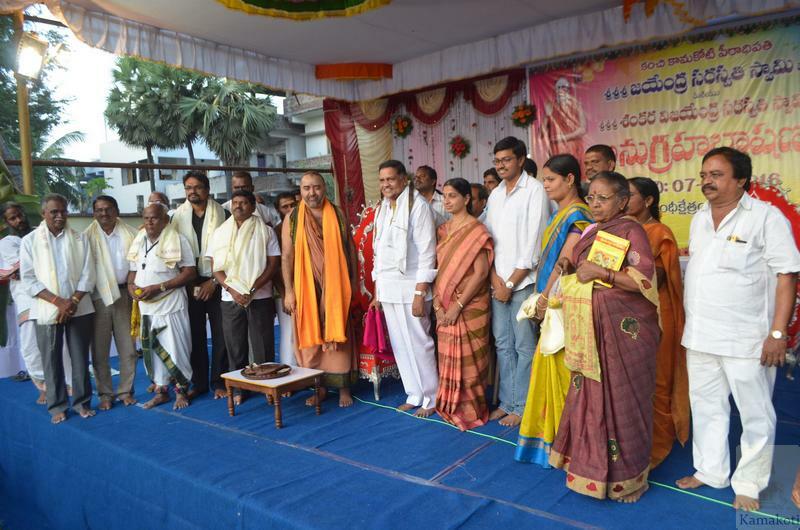 Then Their Holiness proceeded to Gandhi Town Hall and blessed a cultural event conducted by local cultural group at the behest of Shri Mandali Buddha Prasad, Deputy Speaker, Govt of Andhra Pradesh. 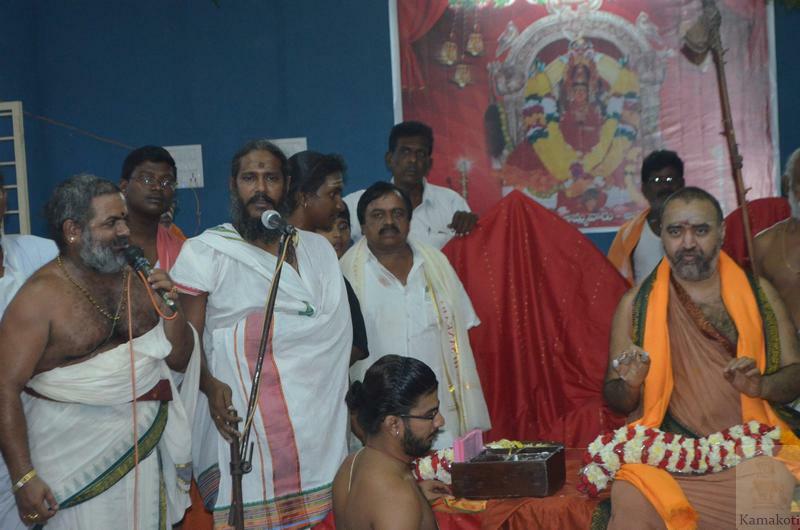 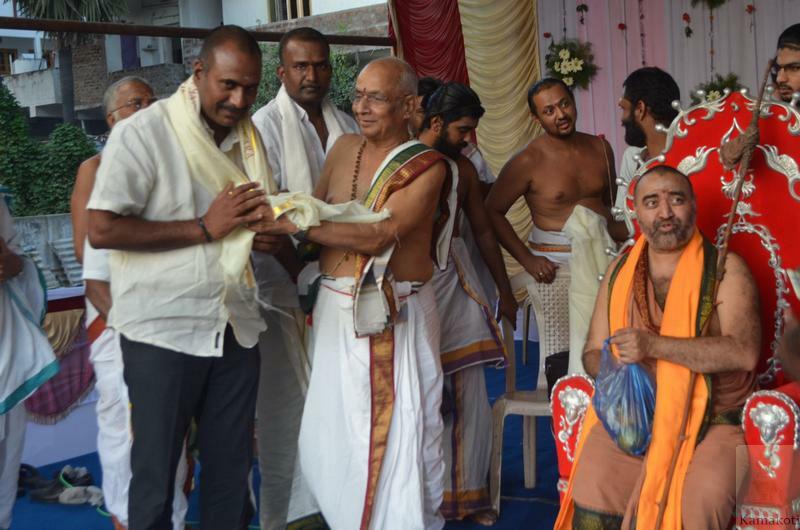 His Holiness Shri Periyava blessed the participants & Shri Bala Periyava gave Anugraha Bhashanam. 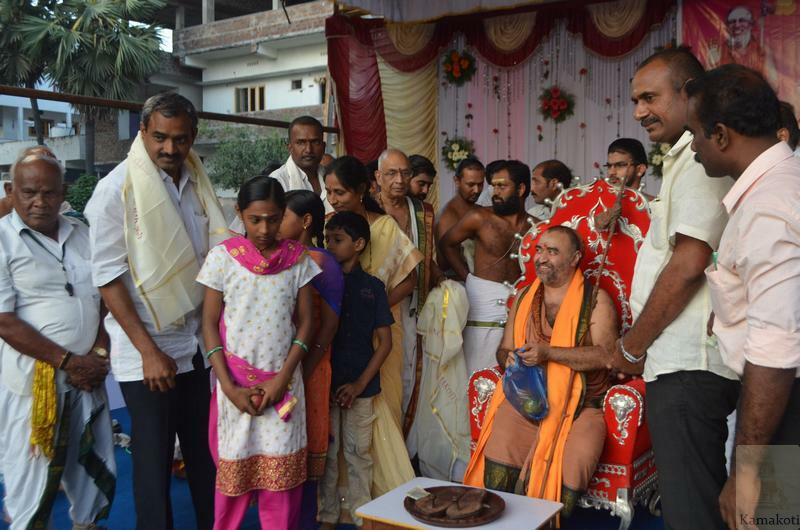 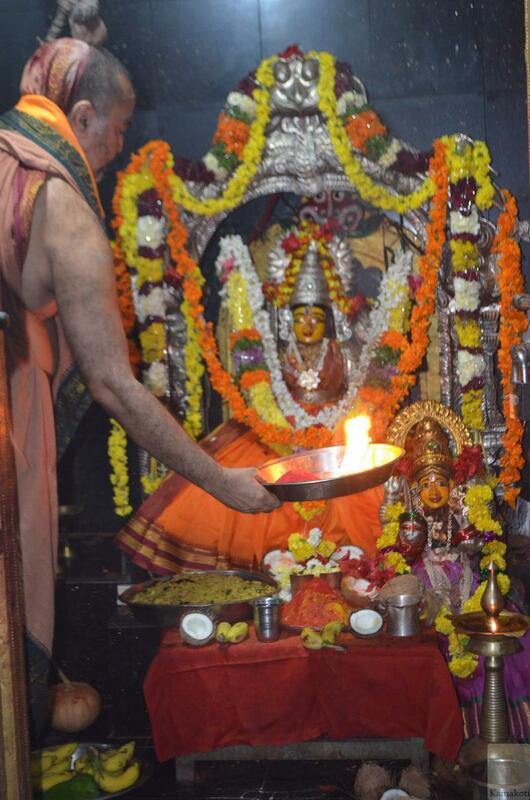 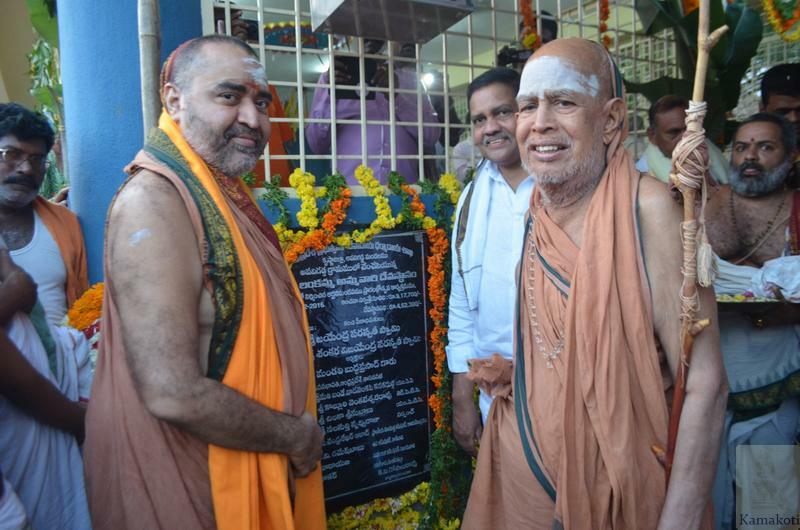 Later His Holiness inaugurated a Mandapam inside Lankamma temple complex. 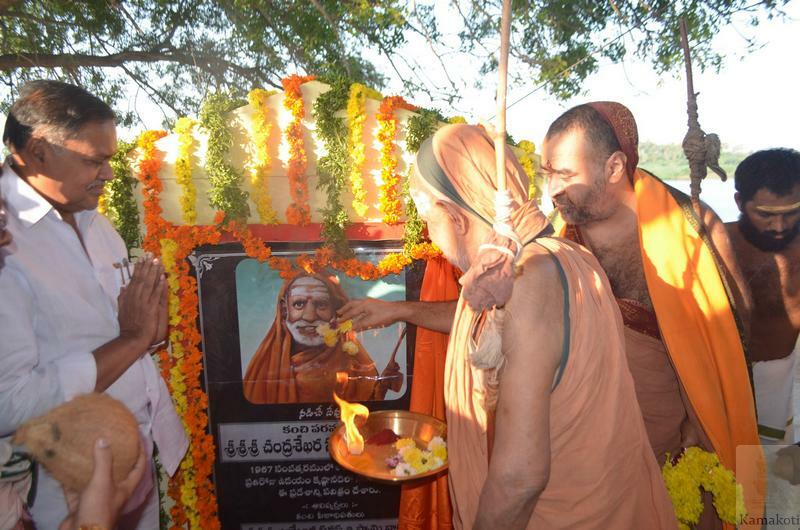 His Holiness Shri Periyava left to Srimatam Camp at Vijayawada, while Shri Bala Periyava proceeded for further visits in Avanigadda.